It’s that time of year for baking delicious desserts using a wide array of summer fruits, many gracing the hedgerows around County Clare. Blackberries, raspberries, gooseberries, wild strawberries and black currants are my favorites for a warm crumble. And, don’t forget the lush red rhubarb bursting out of the garden. Rhubarb is lovely with fresh grated ginger root in this recipe. But, since Berries are so plentiful now I mixed black currants with wild strawberries, tossed them with a little lemon juice and a sprinkle of white sugar and cinnamon. 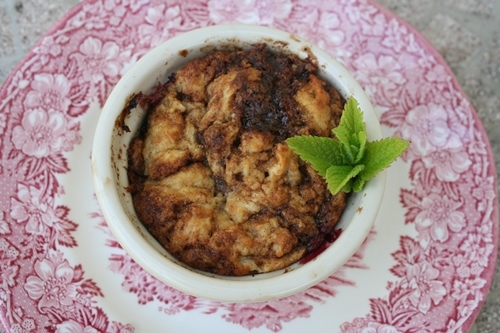 Top them with the following crumble recipe which is gluten and dairy free! Crumble – In a food processor or bowl using your hands mix together 1/2 cup cold soy butter with 2 cups of organic brown rice flour. When the mixture is crumbly, add 1/2 cup light brown sugar, 1 tsp. baking powder and a sprinkle of nutmeg. Mix all together and slowly add 1/3 cup of unsweetened soy milk until the mixture looks like a thick cake batter. Butter individual souffle cups and spoon in the fruit mixture. Top with batter and sprinkle with a little brown sugar. Bake in a 180C or 350F oven for 20 minutes or until top is bubbly and brown. Serve warm with non-dairy vanilla ice cream or cream. 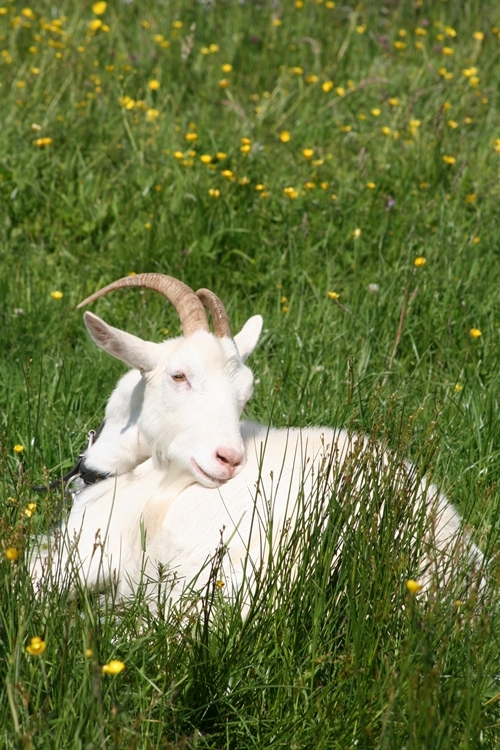 Then, go out to the meadow, relax amongst the flowers and soak up the sun!